Hostel Libero is in the centre of Mostar, just 300m walking from the Old Bridge and old town of Mostar. 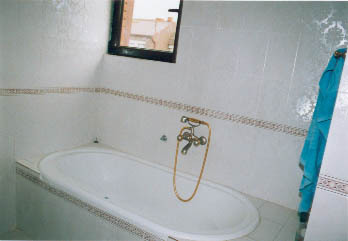 Hostel has clean rooms with bathroom, tv, internet etc. Hostel is runned by enthustiastic youth who also run a NGO in Mostar, by staying in this hostel you help also the youth in Mostar. Emplyees speak more languages and are extra friendly to help you. Internet, Tv, Heating, Double beds, single beds, bathroom with thub. Cernica area near the Bunur bridge. Hostel is located in one of the famous parts of the town, named Cernica near the Bunur bridge. Hostel is 10 min walking from the bus station.